Carlos Hernandez’s latest book Sal & Gabi Break the Universe is a flat out laugh riot from the first word to the last. 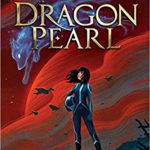 Following in the footsteps of past offerings from the Rick Riordan Presents banner, Sal & Gabi Break the Universe continues the now successful tradition of offering diverse cultural stories for middle school readers. 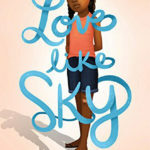 The book features a thirteen-year-old protagonist named Sal Vidon who has recently moved to Miami from Connecticut after the death of his mother. Sal and his father, Papi, move with his step mom which he calls American Stepmom, to Miami because Sal’s ability to punch holes in the universe and access parallel worlds has caused problems for the family. Sal has even summoned his mother from a parallel universe many times. The reunions are not pleasant. The family moves to Miami so that everyone can have a fresh start. Papi takes a job in Miami to study his son’s special ability, and hopefully stop this magical interdimensional power. Sal is looking to start a new life and get a fresh start at school. He enrolls at Culeco Academy of the Arts where he meets the editor of the school newspaper, Gabi Real, and a bully named Yasmany, who could use a friend like Sal. Sal is a master magician who can punch holes in the universe and summon items from different multiverses. This talent allows him to enhance his reputation as a magician, but also brings attention to himself. Gabi is the one who sees through the showmanship that Sal projects, and they form an instant friendship. Together they will be able to solve the biggest problems caused by Sal’s ability. Carlos Hernandez has brought a fresh new story to the Rick Riordan Presents banner. Sal & Gabi Break the Universe does not have an imminent world ending threat or evil villain in the story. With Sal’s ability, he is the cause of his own problems. The early prank he play’s on Yasmany has ripped a hole in the universe. Sal and Gabi see this hole and work to repair it. Sal & Gabi Break the Universe is not just about space time continuum and alternate universes. This is a story about family, how Sal’s family moves on in grief and how Gabi’s family deals with the illness of the youngest member, Ignacio. Sal is one of the funniest main characters I have met in a long time. His persistent humor and his ability to break the mould of standard emotional and irrational teenagers, make Sal the type of kid anyone can like. His diabetes is a constant worry for Sal. Hernandez brilliantly blended the real-life concerns of diabetics into the story. We follow along as Sal monitor’s his sugar levels, the worry he feels in the first confrontation with Yasmany that he broke something vital in his diabetic bag when Yasmany slapped the bag out of Sal’s hand, and the emergency bag of skittles is never far away from Sal. Hernandez shows us a character who can do amazing things, who just happens to have diabetes. Having only been at Culeco for a week, Sal has managed to get himself sent to the principal’s office for four straight days. He is not a bad kid – even Principal Torres likes Sal. Something that makes him stand out from most characters in many middle school books is that he is a nice kid. 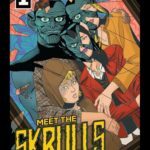 When he plays a prank on Gabi by throwing a fake spider in her face, Sal is entitled to his revenge because Gabi had posted a story about him in the school newspaper that made others think he might be a demon from another dimension. The terror Gabi shows at the prank, makes Sal instantly realize his mistake, and forces him to apologize immediately. Sal doesn’t want to cause harm. When he does, he’s smart enough to know when to say sorry. It seems like such an abstract idea because Yasmany questions him about getting down on his knees and apologizing to Gabi in front of the school. Yasmany is genuinely wondering how he did such a thing. Sal shows how to apologize, something that seems foreign to many today. The instant friendship between Sal and Gabi is sweet and enduring and author Hernandez has crafted his characters so well that the reader would not think of their friendship as anything but a friendship. A boy and girl don’t need to have a love fueled relationship to be friends. Sal and Gabi are an excellent example that boys and girls can just be friends. 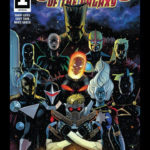 Carlos Hernandez infused the mythology and stories of his Cuban heritage throughout the novel, but what he did so well in crafting Sal & Gabi Break the Universe is that he made the problem of the story, Sal punching holes in the universe, not a dangerous threat to the outcome of the characters. 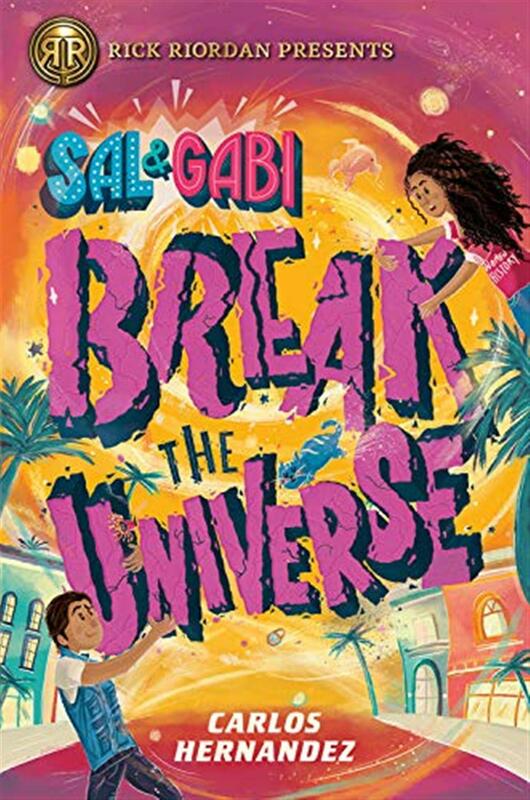 Sal and Gabi can work together to see a solution to mend the tear in the universe Sal created, but also use this ability to help Ignacio without making matters worse. At the center of this story that has parallel universes, robots, and smart kids, is a story about family and how the family copes during tough times. Family comes in all shapes and sizes. For Sal Vidon, the death of his mom was a life altering moment that could have shattered him to an infinite number of pieces. He has learned in the grieving process with the help of his Papi and American Stepmom how to survive in the world and to move on. To Gabi we see this massive extended family that has gathered at the hospital for little Ignacio. The extended and diverse members of the family all come together as one to support each other as they wait for little Ignacio to recover. For Yasmany the bully, he seeks the family he needs in friendships with Sal and Gabi, the guidance of Principal Torres, and the love of Gabi’s family. There is no super power that is stronger then the support and love from one’s family. The larger the family the better, and when you love and support one another anything can be accomplished. Sal & Gabi Break the Universe is a powerful tale about what a family can do. Readers will admire the wit and witticism of Gabi, take comfort in the love of the Real family, and tear up as they watch Sal navigate the dark waters of grief.